Ding dong, the Duke Blue Devils are dead. They’ve been the top team on the March Madness lines ever since the 2018-19 Division I men’s college basketball season got underway, but after barely surviving their Second Round and Sweet Sixteen matchups, Duke were finally eliminated in the Elite Eight. They ended up 0-4 ATS at the Big Dance this year; now it’s onto the NBA for Zion Williamson, RJ Bennett, Cam Reddish, and at least a few of their teammates. Duke weren’t the only big-name program to crash out. 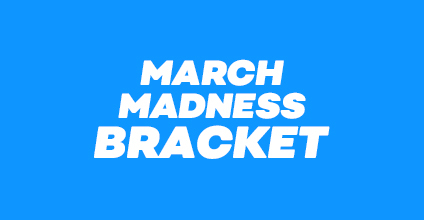 The Gonzaga Bulldogs, North Carolina Tar Heels, Kentucky Wildcats, Tennessee Volunteers and Michigan Wolverines were all eliminated from the Tournament last week, leaving just one No. 1 seed and one No. 2 seed in the title hunt. Naturally, those survivors are the top two favorites on the March Madness betting odds heading into the Final Four, which tips off Saturday night in Minneapolis. It’s a bit too early for the Cavaliers (33-3 SU, 25-11 ATS) to claim redemption, but the advanced stats said all along that Virginia were the best team in college hoops, let alone the ACC. However, the Cavs did need overtime to put away the No. 3-seed Purdue Boilermakers 80-75 in the Elite Eight, cashing in as 4.5-point favorites on the March Madness odds board. Getting to the National Championship Game on Monday, April 8 isn’t guaranteed, either. Virginia opened as 5.5-point favorites for their Final Four matchup (6:09 PM ET, CBS) against the No. 4 team on our list before slipping to –5 in early betting. It’s still a good matchup for the Cavs, though, as they’ll be facing the least effective defense remaining in the tournament. The Spartans (32-6 SU, 27-11 ATS), on the other hand, will play the weakest offense left at the Big Dance when they tip off (8:49 PM ET, CBS) against the No. 3 team on our NCAA basketball odds list. They’re 2.5-point favorites as head coach Tom Izzo prepares for his eighth trip to the Final Four. Izzo was 1-11 SU and 6-5-1 ATS lifetime against Mike Krzyzewski before beating Duke (–3) 68-67 in the Elite Eight. Despite all those NCAA Regional victories, the Spartans have only won the Tournament once with Izzo, and that was way back in 2000. But they were this year’s best team from the Big Ten, which was the toughest conference in Division I according to the numbers, and Michigan State played a much stronger non-conference schedule than Virginia. Leading the way for the underdogs are the No. 3-seed Red Raiders (30-6 SU, 19-16-1 ATS), the top team from the Big 12 – which only trailed the Big Ten in overall performance this year. And while Texas Tech may have their weaknesses on offense, they just might have the best defense in the nation. Pulling off back-to-back upsets over Michigan (–2) and Gonzaga (–5) is definitely nothing to sneeze at. Texas Tech and Michigan State are two of the slower teams in Division I, so the disadvantage the Red Raiders have on offense will be mitigated somewhat. Head coach Chris Beard did a fantastic job of rebuilding this team on the fly; graduate transfer Tariq Owens (formerly with St. John’s) was his biggest coup, putting up 13.9 points, 9.1 rebounds and 3.8 blocks per 40 minutes. The Tigers (30-9 SU, 21-16-1 ATS) weren’t supposed to make it this far, especially after losing star forward Chuma Okeke to a torn ACL during the Elite Eight. But Auburn still put the Tar Heels away 97-80 as 6-point underdogs, with Okeke contributing 20 points and 11 rebounds before his injury. Then they upset Kentucky (–5) 77-71 in overtime while Okeke watched from his wheelchair behind the bench. As a No. 5-seed, and with Okeke on the shelf, the Tigers are the closest thing left to a Cinderella team in the Tournament. Virginia will be tough to beat, of course, but the Cavs play at a very slow tempo, which will make covering that 5-point spread more of a challenge. 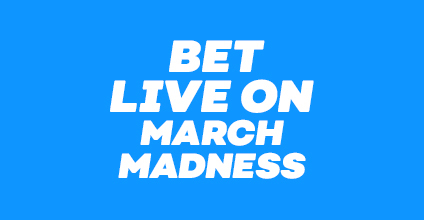 Keep it locked in to Bovada Sportsbook for fresh March Madness odds and analysis as we get ready for both the Final Four and the National Championship Game. Betting on March Madness is big business. It’s a feeding frenzy when the first NCAA Championship odds hit the board. Betting handle on basketball hit new records in Nevada last March, with a massive total of $430 million in wagers – almost twice as much as 10 years ago. That’s a drop in the bucket compared to what’s happening online. Want to get in on the action? Here’s how to bet on March Madness, and how you can get the most value out of the college basketball betting lines. The most popular form of March Madness betting is the point spread. Before every game, a list of NCAA Tournament lines will be posted, with a spread attached. One team will be considered the favorite; to cash in, they’ll have to win by a certain number of points (known as the point spread). For the underdog to cash in, they’ll have to either win the game or lose by fewer points than the spread. For example, North Carolina was a 1.5-point favorite at last year’s National Championship Game, meaning they had to win by at least 2 points to cover – which they did. Usually, one team or the other will win a basketball game against the spread (ATS), but not always. If the spread for a game is a “flat” number, i.e. a whole number, and the favorite wins by exactly that number of points, it’s called a push, and all monies wagered are returned to the bettors. There’s an extra feature with point spread betting called buying points, where you have the option of moving the spread a half-point in either direction. You can only make this move onto a flat number; at last year’s final, you could have taken Gonzaga at +2 instead of +1.5, or North Carolina at –1 instead of –1.5. Buying points will help you turn some losses into pushes. The moneyline is the old-school way of expressing the March Madness odds. Instead of betting against the spread, you simply bet on one team to win the game straight-up (SU). The Tar Heels were –125 favorites on the moneyline against Gonzaga, meaning you would have to bet $125 to win $100 (smaller and larger bets are allowed). The Bulldogs were +105 underdogs, and would have paid out $105 for every $100 wagered if they had won the championship. If you like an underdog to pull off the upset and beat the favorite SU, you’ll make more money by placing a moneyline bet, provided your team comes through for you. Also known as the total, the over/under continues to grow in popularity on the March Madness lines. All you need to do here is bet on whether the combined final score of the game will go over or under the posted total. The over/under for last year’s title game was 155 points, so the Under was the winning bet. If North Carolina and Gonzaga had combined for exactly 155 points, it would have been a push – all monies returned, just like in spread betting. Don’t want to wait until the tournament to start betting? You can pick a winner right now. Odds to win NCAA Championship glory are available year-round in the futures section of Bovada Sportsbook. A futures bet is a bet on the winner of a major event placed before the event comes. At press time, the Michigan State Spartans and Villanova Wildcats are tied as +500 co-favorites to win the championship. Futures odds will be available all the way up until the tournament boils down to the last two teams. Proposition bets, or prop bets for short, ask you to wager on something aside from the outcome of a specific game. These bets usually fall into two categories: team props, and player props. A team prop could be as simple as how far the Spartans will advance in the Tournament, while player props will ask you to wager on a specific individual performance, like how many points Michigan State guard Miles Bridges will score in a particular game. March Madness prop betting has become increasingly popular over the years, and you can expect to find more and more props on the NCAAB odds board as the tournament gets closer to the National Championship Game. If you plan on making multiple straight bets (spread, moneyline or total) on the college basketball betting lines, you can increase your potential payout by combining up to 12 of those lines in a single bet known as a parlay. Your payout will rise exponentially if you get all your picks right – you can win over 2,300 times your original bet with a 12-team parlay. But you have to get every pick correct for your parlay to pay out. It’s all about managing risk versus reward; many bettors will stick to 2-team parlays, often combining the spread and total from the same game. Teams, in this case, refers to the Over or Under as well as the teams on the basketball court. A teaser is a special kind of parlay that lets you move every single line by a certain number of points. When you’re dealing with NCAA Tournament lines, you can tease by 4, 4.5, 5, or 6 points. The more points you tease by, the smaller the payout gets; in return, you have a greater likelihood of winning. For example, if you had a 2-team teaser for last year’s Championship Game with Gonzaga at +6.5 instead of +1.5, and Under 160 instead of 155, you would have been paid out at –120. The maximum number of teams you can put in a teaser is 10, down from 12 for a standard parlay. In addition to these teasers, there are special sweetheart teasers where you can move the lines by 10 points, or even 13 points. Added restrictions apply here; a 10-point sweetheart teaser must contain a minimum of three teams, while a 13-point sweetheart teaser requires at least four teams. Once again, the payouts get smaller the more points you tease by. 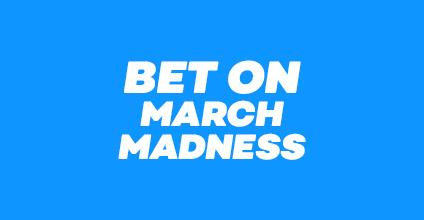 All the betting options we’ve mentioned thus far have to be made before the game in question starts, but you can also take advantage of the March Madness odds while a game is in progress. You can bet live on March Madness by clicking the LIVE MODE button at the top right of the odds page for the game you want to bet on; a separate window will appear, showing you the running point spread, moneyline and total. These lines will be updated throughout the game as play continues. Other prop bets may be available as well, like what the next point will be (a free throw, a 2-pointer or a 3-pointer), or whether a certain player will make his next shot. 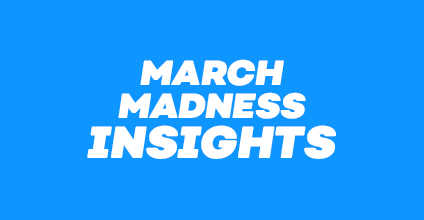 It takes a certain amount of cunning and strategy to beat the March Madness lines and make yourself a little money during the Tournament, but you don’t have to be a rocket scientist – you only have to do better than the average person. And at this time of year, there are countless recreational bettors who just want to put a few dollars on their favorite teams, without putting too much effort into strategy. 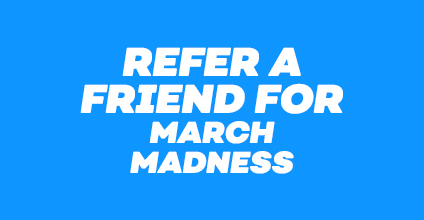 There will be more of these bettors as you get deeper into the tournament and the games get more important; the Elite Eight odds will be easier to beat than the Sweet 16 odds, and the Final Four odds will be softer still. The most important thing to remember with March Madness betting is that it’s not you against the sportsbook. Your competition is the other bettors in the marketplace; if they put too much money on one team, the book will move the odds in order to get more bets on the other team, hoping to balance the action and make it easier to pay the winners, no matter what the final score is. As a general rule, recreational bettors tend to overvalue favorites, so the betting value is often with the underdogs. There are a number of ways you can take advantage of these tendencies. If you’re thinking about making a bet on the March Madness futures market, your best value won’t be with the teams at the top like Michigan State; look further down the NCAAB championship odds list for a quality team with a little less brand-name recognition – maybe even a team like Gonzaga, who almost won the championship last year. Once the tournament rolls around, you can usually find some betting value in the same games that smart basketball fans circle as “upset specials” on their March Madness brackets. These are usually games between the 4-seeds and the 13-seeds, 5 vs. 12, and 6 vs. 11. The teams with the higher-numbered seeds are usually the champions of smaller conferences that don’t get a lot of publicity, while the lower-numbered seeds are often “at-large” teams from the big-name conferences like the ACC and the Big Ten. Those at-large teams aren’t necessarily that good, and they may lack motivation at the Big Dance if they had bigger expectations for themselves coming into the new season. That covers everything you need to get started with betting on the NCAA Tournament. 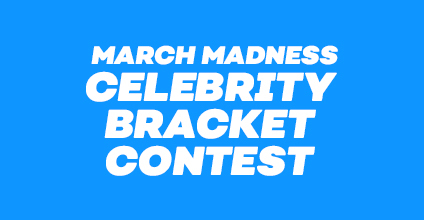 You now know about the structure of the Tournament itself, the different ways you can bet on March Madness, and the betting fundamentals that will help you with your March Madness picks. For more information, make sure to consult the ever-growing treasure trove of college basketball articles and analysis here at Bovada, and best of luck on the hardcourt this year.